Huawei Ascend D1 CM12.1 (CyanogenMod 12.1) Lollipop Custom ROM is an unofficial build and is brought to you by developer ShevT and others. 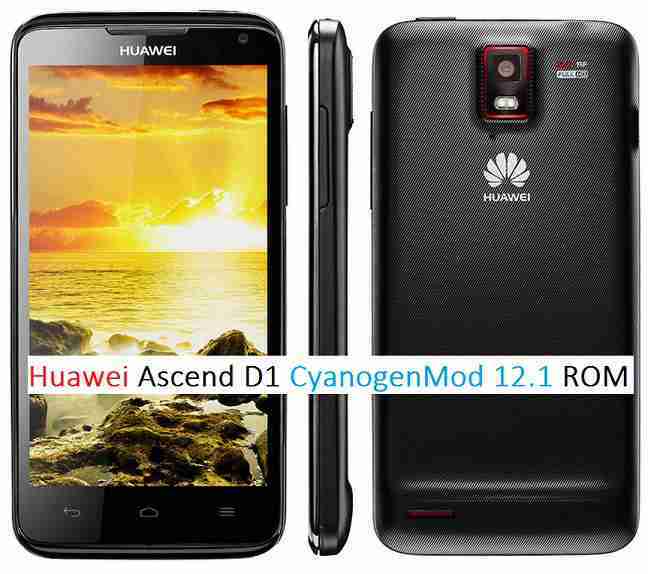 This is an unofficial CyanogenMod 12.1 build for Huawei Ascend D1 and may contain some minor bugs but this ROM can be used as a daily driver. Installing Custom ROM may require your phone’s bootloader to be UNLOCKED, which may VOID WARRANTY. Sometimes if not handled carefully then it may permanently damage your phone and prevent from BOOT. Understand that you are the only person making changes to the device. In case of any damage or any kind of loss as a consequence of this installation, Neither the Developer nor we can be held responsible. – If you already have an unlocked bootloader then you can download the twrp file and then follow this guide: How to flash TWRP using fastboot. – Perform a nandroid backup using TWRP or CWM custom recovery. – Copy all your internal phone data to a PC after taking above backups. Copy the GApps and CyanogenMod ROM ZIP file to your device. Boot into Recovery. Make sure to have a Custom recovery like CWM or TWRP or Cyanogen recovery. Take either a full backup of the current ROM (NANDROID BACKUP) or take a backup of all your data using a synchronization application. First flash the CM12.1 ROM ZIP from device. Here is a guide explaining How to Flash Custom ROM using TWRP recovery. then flash the Google Apps package. Reboot and Enjoy the CyanogenMod 12.1 Lollipop ROM on your Huawei Ascend D1. Copy the CyanogenMod 12.1 ROM ZIP file to your phone. Wipe Cache partition and Dalvik Cache. Flash the latest CyanogenMod ROM ZIP from your phone. Here is How to Flash Custom ROM using TWRP recovery. Stay tuned or Subscribe to the Huawei Ascend D1 forum For upcoming Android Nougat ROMs, CyanogenMod Custom ROMs, other ROMs and all other device specific topics.